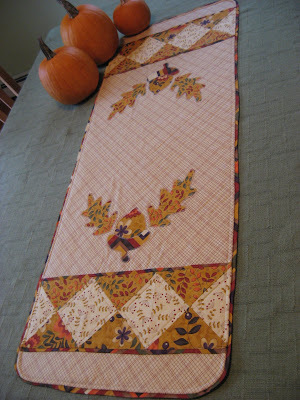 There are a few quilting/sewing projects that I am just dying to show you, but I have to keep them secret just a little while longer. Even though I can't show the official finished project which will be my entry into RJR Fabric's Summer Solstice It's All In The Bag contest yet, I will show you my prototype for the project. The contest entry turned out quite a bit different from this, but I still think this one is pretty cute. What do you think? 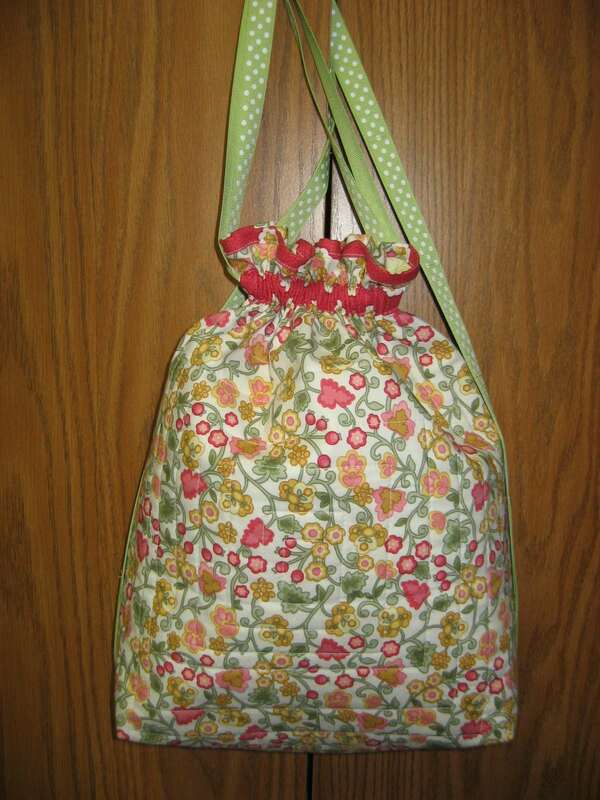 It's a cinch sack ~ you know those cute drawstring bags that are worn on the back like a backpack that all the kids are using these days. Don't you just love that fabric? 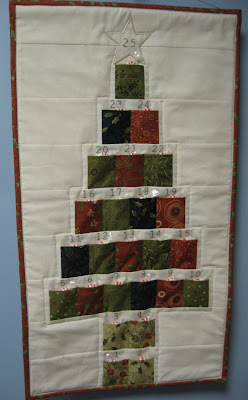 I went through my fat quarter collection from Grace Full Creations and picked out five different fabrics to use in this project. 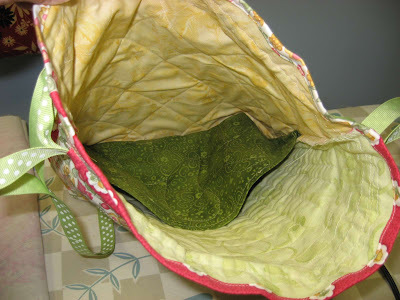 This side of the bag is quilted in a square spiral starting from the middle of the piece. 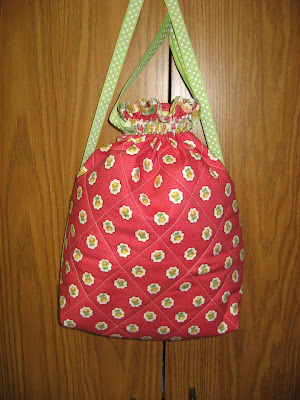 Here's the back of the bag...the design on this fabric was just begging for diamond quilting lines! 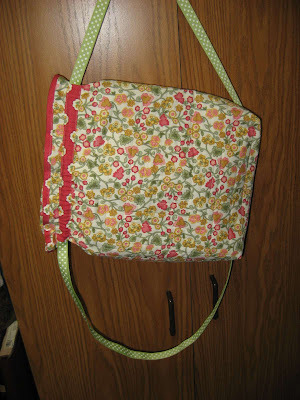 And here's the inside with a divider down the middle to help organize the stuff that will surely end up in here! The ribbon was purchased on a roll at my local Michael's store during a super fabulous 60% off sale! I sure love a bargain! And I just couldn't resist those white polka dots! 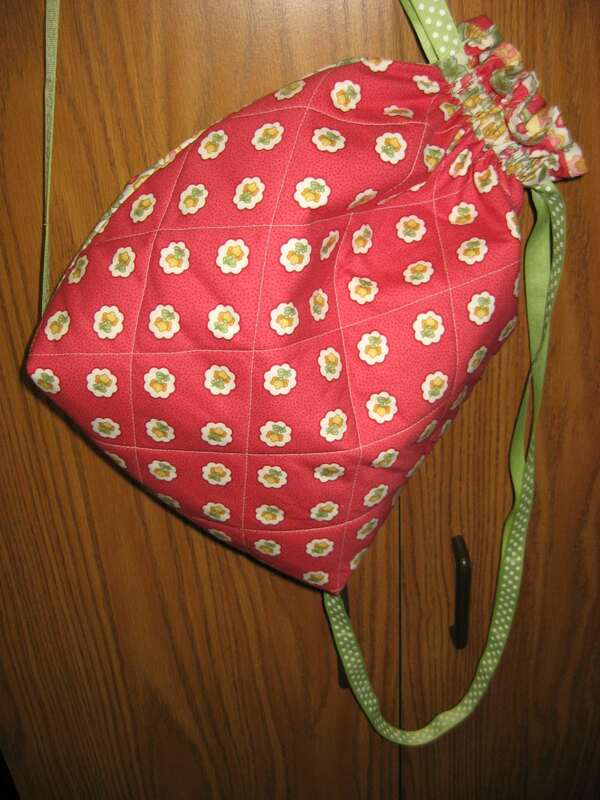 This cinch sack was fun to make and helped me to work out my design for the contest entry bag, which I will show you very soon. I'll be putting this one in my Etsy shop shortly and will have all the measurements and other information about it there in case you are interested in purchasing it. Stay tuned for my next bag, which just might be the contest bag, or it might be the bag I made from that super cute Cheep Talk fabric I showed the other day. I haven't decided yet! It is just so beautiful.you are so talented.